Many of you have not yet tried resin jewelry judging from the comments on last week's giveaway for a $50 gift certificate from Little Windows. Believe me, it is a lot of fun! And quite addictive as you can see from the various snowflake pieces I did for my resin snowflake jewelry tutorial. I didn't stop until I ran out of snowflake stickers! Yes, the resin hardener of any epoxy resin product including even resin clay has a limited shelf life. So Little Windows' shop offerings for replacing just the resin hardener portion is unusual. The doming trays are neat to have too if pouring slowly is a challenge as it was for me. 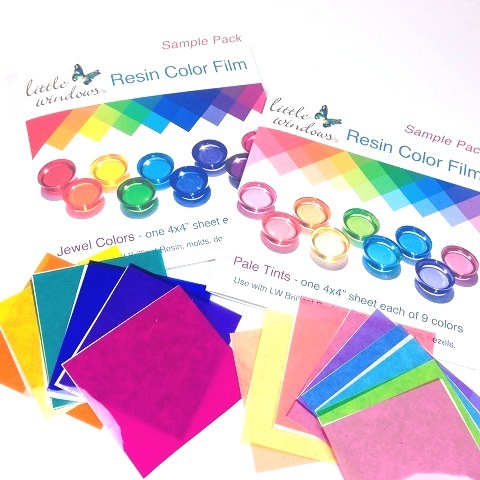 One lucky reader will get to try out some wonderful products and get started making resin jewelry. I numbered all the eligible entries and hopped over to random.org. I used the random number generator there to select the winning number. It was assigned to Aimless One! Congratulations Aimless One - you aren't aimless anymore! Have fun making resin jewelry! So close - yet so far!! What fun Aimless One will have indeed! She will indeed! Better luck next time!